Haven is a 3 day blogging conference held in Atlanta, Georgia. I bought my ticket to Haven 2013 the same month that I started my blog. I was so nervous. The thought of meeting bloggers that really know their stuff was a bit intimidating. Let me tell you, my fears were erased quickly! 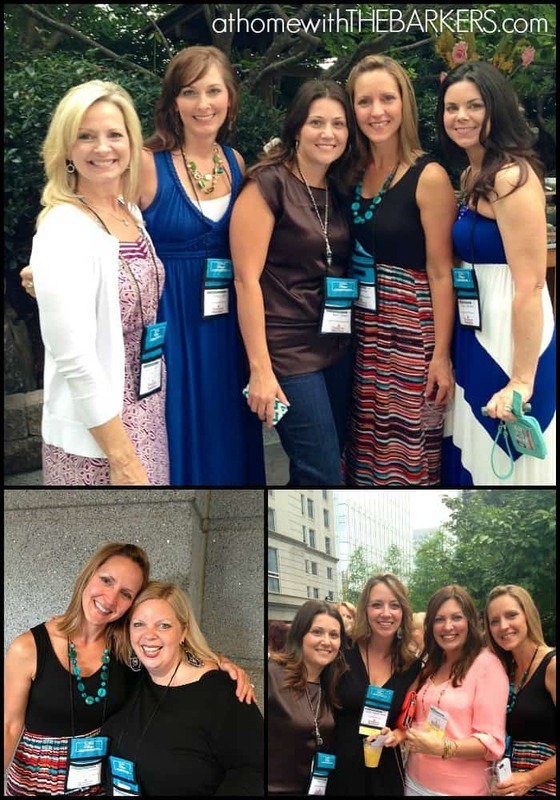 I meet so many wonderful, real, smiling faces! 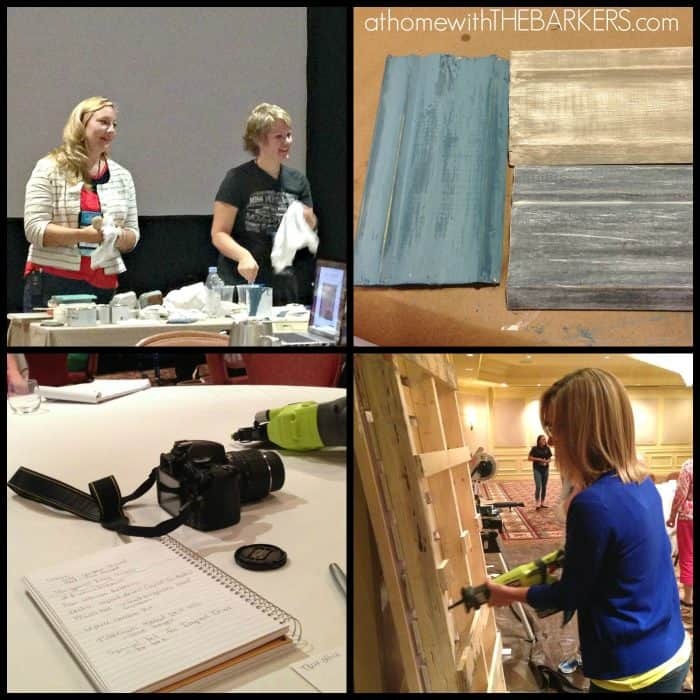 I painted with Miss Mustard See Milk Paint, Annie Sloan Chalk Paint, tried out some Ryobi Tools, and learned a thing or 12 about better blogging. But more than all of that, I learned I am not alone in this blogging world. The women (and a few men) behind these blogs are just like me. They are real. They have confidence and insecurities…success and failures…experience yet still learning. They have hearts that are bigger than you will ever know. They are giving to each other, to me, and the communities they live in. They are now my friends…my real life friends. 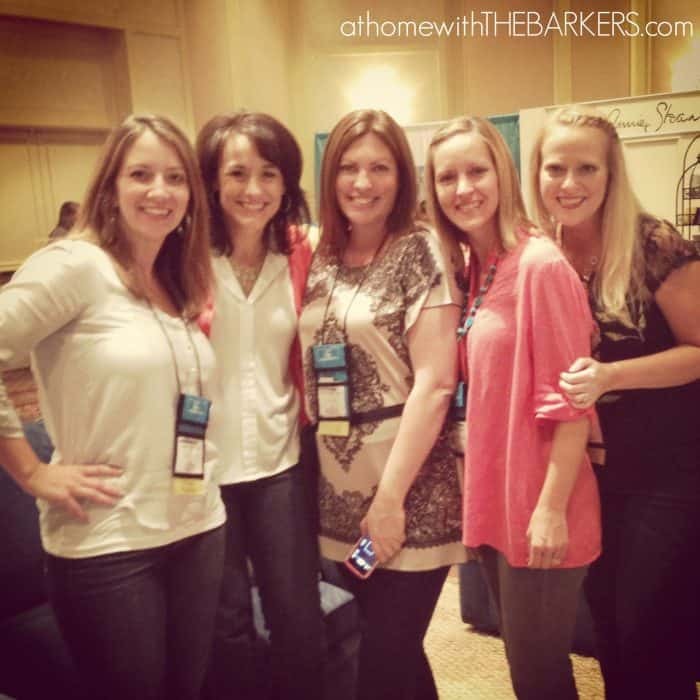 “Hey, I’m Sonya from At Home with The Barkers,” I am so glad I did! I could post pictures for miles, I seriously meet so many wonderful people! You can see lots more of those pics if you follow me on Instagram. I would like to send A HUGE thank you to the Haven Team for the fabulous conference…from the atmosphere to the swag bags, to great vendors and sponsors! You all did agreat job! Also, thank you Traci, Beneath my Heart and Cyndi, Walking in Grace & Beauty for devotion and prayer time. I can’t wait for Haven 2014! Now Go and DO GOOD ON A GRAND SCALE! Wish I met you! Awesome pictures and can’t wait till next year! LOVE LOVE the end of your post…Go and do good on a grand scale. That was one of my biggest take aways too! Yes, Paula me too! I remember you taking this…and you took a great photo! This was such a great post, Sonya! I love that we’re friends now, and I can look back fondly on all the times were were able to interact! So fun! Can’t wait for next year! It was so much fun and I’m glad I got to meet you! Sonya it was so good meeting you at Haven. Funny how it is never enough time for us! Hope to stay in touch! Sonya, great recap and it was so nice meeting you. I didn’t know you were a newbie. Looking forward to next year’s conference. Love your first picture of all of us, it was so nice to meet you! GREAT conference and I can’t wait for next year! Me too Cindy! I am so glad you commented…I couldn’t remember you blog! Now I have you linked up. Thanks Kristin! It was so nice meeting you too. It was so much fun and I am happy to have so many new friends. Haven looks like so much fun! I’d love to go to a blogging conference someday. I appreciate your honesty–I feel insecure as a new blogger too! I’m stopping by from Give Me The Goods Monday–have a great week! Haven was a lot of fun, tiring but fun. I just peaked at your blog and it is so cute! I will head back over to follow and look around. Hey Sonya! 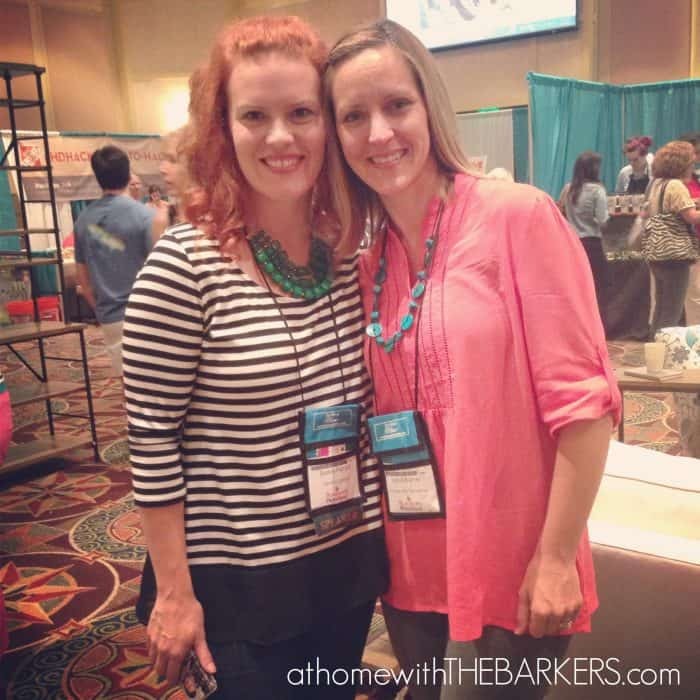 Homes.com & ForRent.com enjoyed sponsoring the event and are happy to hear you had a great time at the Haven Conference! 🙂 Feel free to browse all the photos from the event on Facebook, tag yourself & share with family/friends! https://www.facebook.com/media/set/?set=a.10151682489139086.1073741827.280285049085&type=3 Looking forward to chatting with you soon!